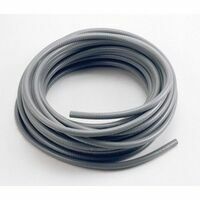 Heavy wall non-metallic rigid conduit. One belled-end and one plain end. 10 foot Length, Schedule 40, PVC. Gray, Meets CSA Standard C22.2 No. 211.2. Heavy wall non-metallic rigid conduit. One belled-end and one plain end. 10 foot Length, Schedule 40, PVC. Gray, Meets CSA Standard C22.2 No. 211.2. High grade mild strip steel, hot galvanized with a process that combines zinc, a conversion coating, and a clear organic polymer top-coat to form a triple layer of protection against corrosion and abrasion, has a low friction ID coating that improves the slip properties between conduit and wire. It provides easy bending, cutting and joining while resisting flattening, kinking and splitting. Reduces electromagnetic fields, effectively shielding computers and sensitive electronic equipment from the electromagnetic interference caused by power distribution systems. UL Listed, meets ANSI C80.3. Heavy wall non-metallic rigid conduit. One belled-end and one plain end. 10 foot Length, Schedule 40, PVC. Gray, Meets CSA Standard C22.2 No. 211.2. High grade mild strip steel, hot galvanized with a process that combines zinc, a conversion coating, and a clear organic polymer top-coat to form a triple layer of protection against corrosion and abrasion, has a low friction ID coating that improves the slip properties between conduit and wire. It provides easy bending, cutting and joining while resisting flattening, kinking and splitting. Reduces electromagnetic fields, effectively shielding computers and sensitive electronic equipment from the electromagnetic interference caused by power distribution systems. UL Listed, meets ANSI C80.3. Heavy wall non-metallic rigid conduit. One belled-end and one plain end. 10 foot Length, Schedule 40, PVC. Gray, Meets CSA Standard C22.2 No. 211.2. High grade mild strip steel, hot galvanized with a process that combines zinc, a conversion coating, and a clear organic polymer top-coat to form a triple layer of protection against corrosion and abrasion, has a low friction ID coating that improves the slip properties between conduit and wire. It provides easy bending, cutting and joining while resisting flattening, kinking and splitting. Reduces electromagnetic fields, effectively shielding computers and sensitive electronic equipment from the electromagnetic interference caused by power distribution systems. UL Listed, meets ANSI C80.3. Heavy wall non-metallic rigid conduit. One belled-end and one plain end. 10 foot Length, Schedule 40, PVC. Gray, Meets CSA Standard C22.2 No. 211.2. Heavy wall non-metallic rigid conduit. One belled-end and one plain end. 10 foot Length, Schedule 40, PVC. Gray, Meets CSA Standard C22.2 No. 211.2. High grade mild strip steel, hot galvanized with a process that combines zinc, a conversion coating, and a clear organic polymer top-coat to form a triple layer of protection against corrosion and abrasion, has a low friction ID coating that improves the slip properties between conduit and wire. It provides easy bending, cutting and joining while resisting flattening, kinking and splitting. Reduces electromagnetic fields, effectively shielding computers and sensitive electronic equipment from the electromagnetic interference caused by power distribution systems. UL Listed, meets ANSI C80.3. High grade mild strip steel, hot galvanized with a process that combines zinc, a conversion coating, and a clear organic polymer top-coat to form a triple layer of protection against corrosion and abrasion, has a low friction ID coating that improves the slip properties between conduit and wire. It provides easy bending, cutting and joining while resisting flattening, kinking and splitting. Reduces electromagnetic fields, effectively shielding computers and sensitive electronic equipment from the electromagnetic interference caused by power distribution systems. UL Listed, meets ANSI C80.3. High-strength steel, impact and crush resistant, provides radiation protection and magnetic shielding. 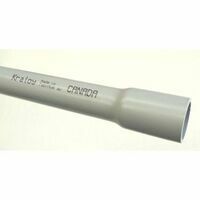 Hot-dipped galvanized with a smooth baked on lacquer coating inside and out for high grade, durable pipe protection. Includes one coupling. High grade mild strip steel, hot galvanized with a process that combines zinc, a conversion coating, and a clear organic polymer top-coat to form a triple layer of protection against corrosion and abrasion, has a low friction ID coating that improves the slip properties between conduit and wire. It provides easy bending, cutting and joining while resisting flattening, kinking and splitting. Reduces electromagnetic fields, effectively shielding computers and sensitive electronic equipment from the electromagnetic interference caused by power distribution systems. UL Listed, meets ANSI C80.3. High-strength steel, impact and crush resistant, provides radiation protection and magnetic shielding. Hot-dipped galvanized with a smooth baked on lacquer coating inside and out for high grade, durable pipe protection. Includes one coupling. High-strength steel, impact and crush resistant, provides radiation protection and magnetic shielding. Hot-dipped galvanized with a smooth baked on lacquer coating inside and out for high grade, durable pipe protection. Includes one coupling. High-strength steel, impact and crush resistant, provides radiation protection and magnetic shielding. Hot-dipped galvanized with a smooth baked on lacquer coating inside and out for high grade, durable pipe protection. Includes one coupling. High-strength steel, impact and crush resistant, provides radiation protection and magnetic shielding. Hot-dipped galvanized with a smooth baked on lacquer coating inside and out for high grade, durable pipe protection. Includes one coupling. High-strength steel, impact and crush resistant, provides radiation protection and magnetic shielding. Hot-dipped galvanized with a smooth baked on lacquer coating inside and out for high grade, durable pipe protection. Includes one coupling.